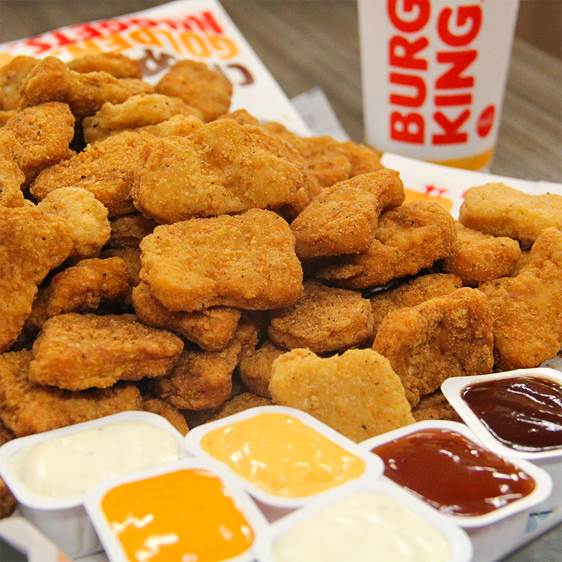 $1.49 FOR 10 PIECE NUGGETS ARE BACK! @ BURGER KING - EAT WITH HOP! Yesterday I ordered 10 piece nuggets. FOR ONLY $1.49 + TAX. OMGADDD SO FREAKIN` CHEAP Y'ALL! I also was craving their chicken fries and wanted to try the new Buffalo Chicken Fries. MY CAMERA IS SO BAD! These are the Buffalo Chicken Fries but the color is so off. This is taken from my Galaxy Note 3 camera which only takes nice photos in nice lighting. 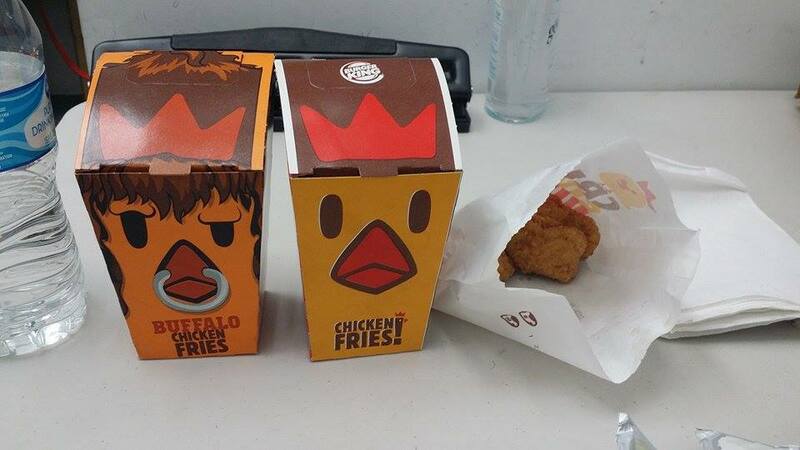 T__T The chicken fries are actually darker red because of the buffalo seasoning. THE DEAL IS BACK! My good friend Duc tagged me in a Burger King Facebook Post that announced on Nov. 17 that they are doing the $1.49 for 10-piece chicken nuggets! Whoa! So since I'm terribly broke now so I decided to take advantage of this deal yesterday and got it! Since it's 10-piece you can get 2 dipping sauces for free (Additional costs extra). TOO CHEAP. This is just so cheap compared to the $5 for 20-piece chicken nuggets from Mcdonalds. It would only be $3 for 20 nuggets at Burger King! The taste is not bad but I gotta say, Wendy's chicken nuggets still has first place in my tummy's heart. I'm not sure when the $1.49 for 10 nuggets deal ends but make sure to ask about it to make sure if you're at a Burger King! Now onto the Chicken Fries! Damn... they are pretty expensive T__T. I ordered just 2 Chicken Fries and an order of the 10-piece nuggets but the total came out to almost $11. Dang! 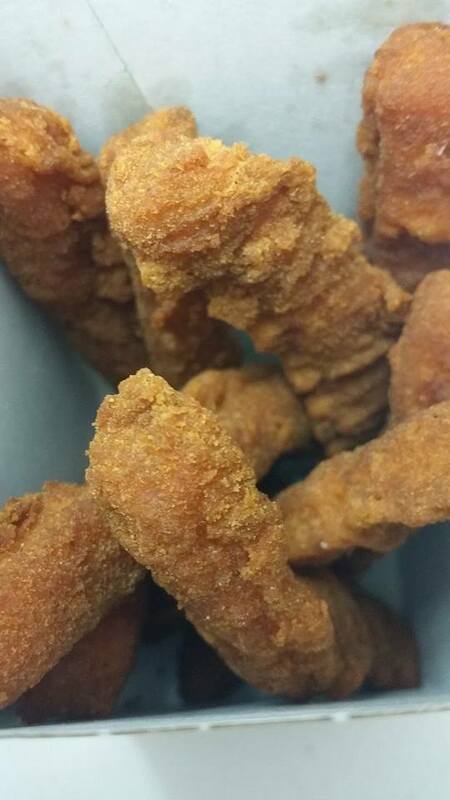 The Chicken fries are basically about like $4 or something for like 10-ish sticks. The Buffalo Fries surprised me. They are actually good and no dipping sauce is needed! I thought it was gonna be dry but it was fine without any sauce and had a good amount of flavor. The regular Chicken Fries however... are pretty dry and definitely need dipping sauce because it's quite flavorless. I like to make it rain pepper on my fries for more flavor though. The best sauce to dip IS THE BBQ SAUCE. Get that if you can't choose.